Prior my performance at WEISSLICH 3 I repeatedly engaged with the ‘living score’ specifically responsible for storing [factory]. These engagements have involved one-to-one conversations that focus on ideas behind the piece, and detail the rooms and layout of [factory]. Since the score is a living human and therefore a subjective being, our dialogue has led us to explore a range of other means of communicating the repository of information and actions associated with the piece. Exploring the unique medium in in which Luke has decided to embed his ideas, communication methods have also included sonic and visual representations of specific rooms enacted by the living score. [factory] is comprised of twenty-two rooms – what could be understood as prompts for performance – each with their own logics of time, structure and form. Some rooms suggest that they be superimposed simultaneously in either an imaginary or real way, while some are designed to be sequentially placed according to performative contingencies. 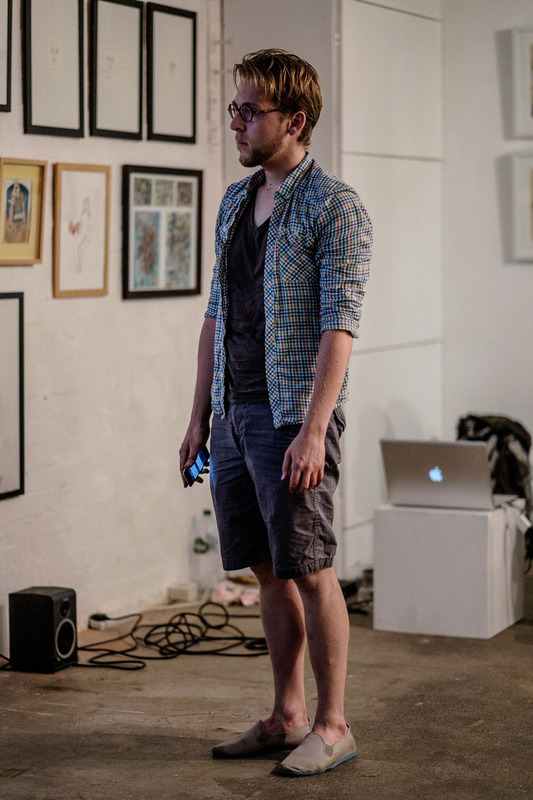 My performance at the Hundred Years Gallery focused around six rooms. Following my performance, Hundred Years Gallery’s venue director Graham MacKeachan invited me to come around the next day for an interview about the piece. The interview touches on the context from which [factory] emerges, my engagements with the live-score, my own artistic practice and trajectory as it relates to my interest in Nickel’s project, and contains excerpts from my ongoing project Experiments in Telepathy with hornist Samuel Stoll. Interview after the jump starting around 40:00. Video of the performance shot by Tom Hartford. All photos by Dimitri Djuric. More here. More information about the WEISSLICH series/collective can be found here. 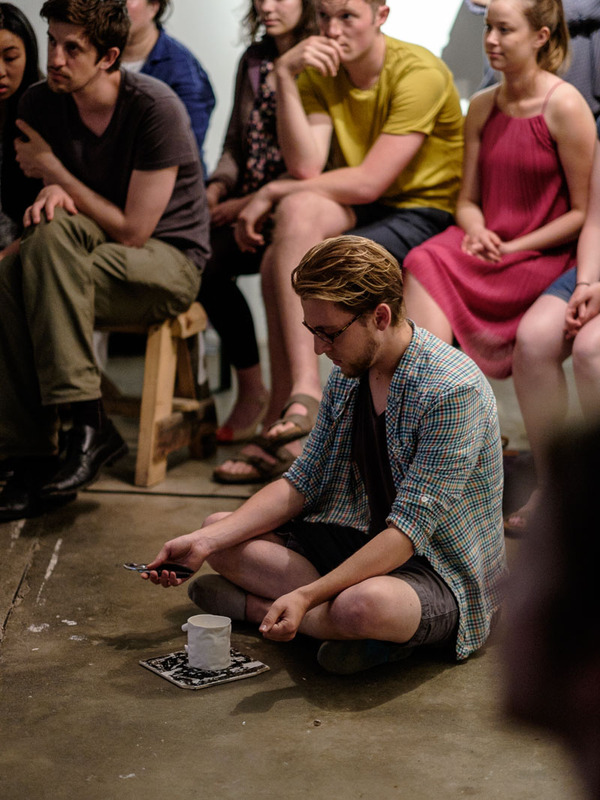 This entry was posted in News, Performing, Projects and tagged Dimitri Djuric, factory, Hundred Years Gallery, interview, living repository, living score, Luke Nickel, performance, WEISSLICH. Bookmark the permalink.